I’m excited to partner with Kwikset for this sponsored post. Hello fall! 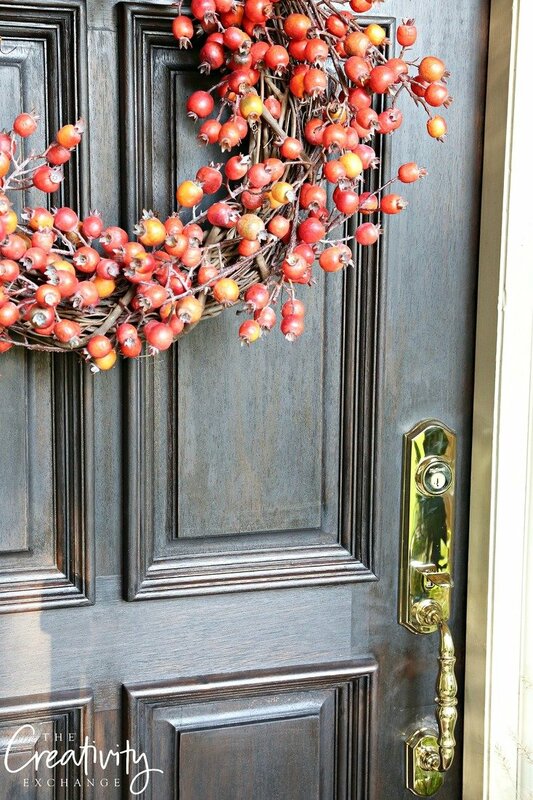 I’m so excited about today’s post because I teamed up with Kwikset for a fall front door makeover. I cannot tell you how ready I am for cooler temps and all my fall favorite things. It’s been so hot here in East Texas! The extreme Texas heat and humidity has taken it’s toll over the years on our solid wood front door. In fact, even the hardware, lock and door handles were so tarnished that had turned black and green. 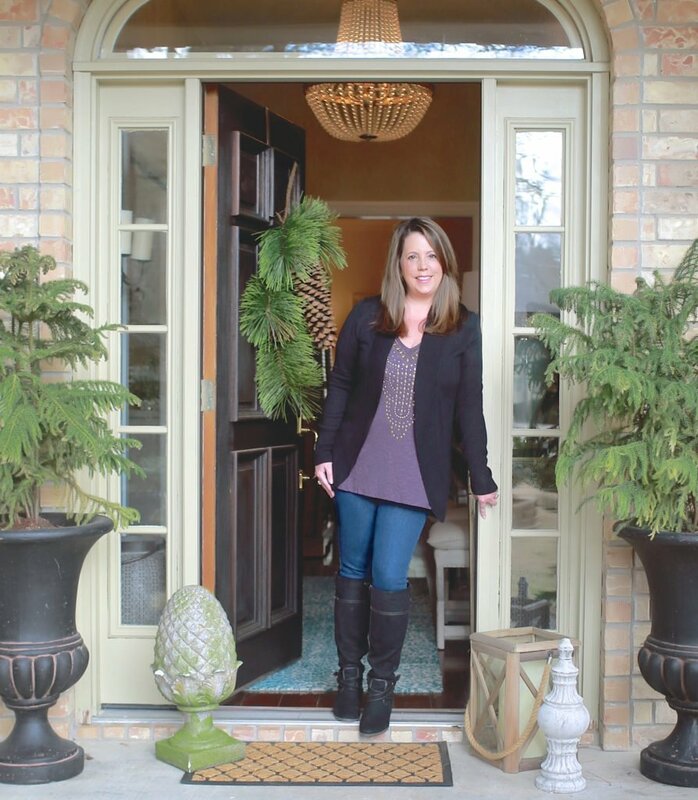 When Kwikset contacted me to see if I was interested in doing a front door makeover, it was like they were reading my mind. It was WAY past time to refinish our door and replace the hardware before I fluffed for fall. We started out our door makeover by sanding down the door using a fine grit sanding sponge. We sanded down past several layers of stains I had used over the years. Here’s a picture below halfway through the sanding, so you can see the original lighter color, as well as the layers of darker stain I previously used. We removed all the door hardware and wiped down the door to remove any residue with lacquer thinner. 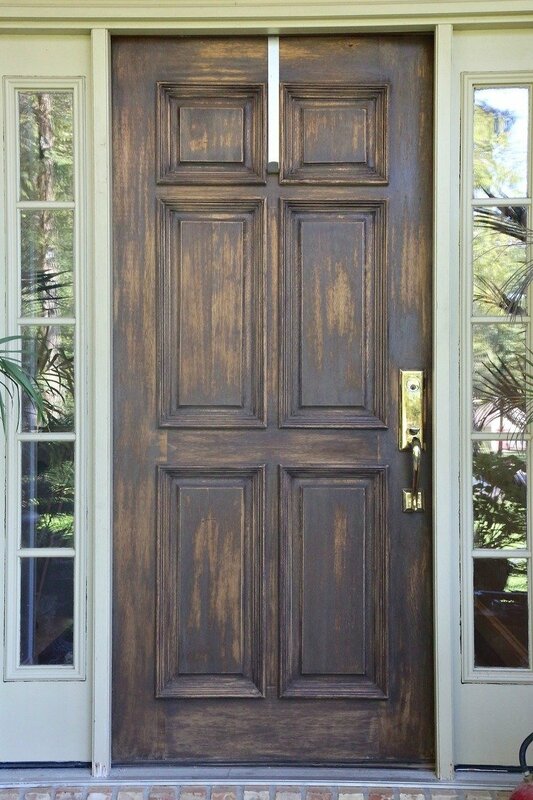 We decided that we wanted the door black, so we then applied a layer of Minwax Penetrating Stain in the color “Ebony”, which is the darkest stain we could find. We learned the hard way that it’s so important to apply the stain when it’s not humid and hot outside, which is pretty much everyday here. Unfortunately, our finish dried inconsistently. We ended up removing the door and re-staining inside, where it was cooler. After the stain dried, we very lightly sanded the door and then we went over it with lemon oil to condition the door and even out the stain. We will seal the door in a couple weeks after the stain has cured. 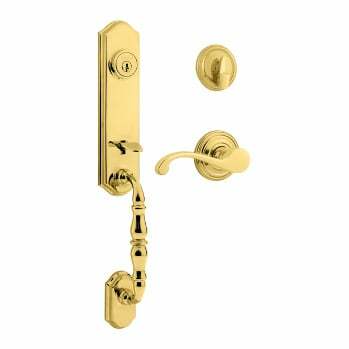 For the new door hardware, we were really excited to see that Kwikset has a beautiful polished brass hardware with the option of a lifetime finish. The lifetime finish comes with a lifetime warranty and is exactly what we needed with our humidity and heat. 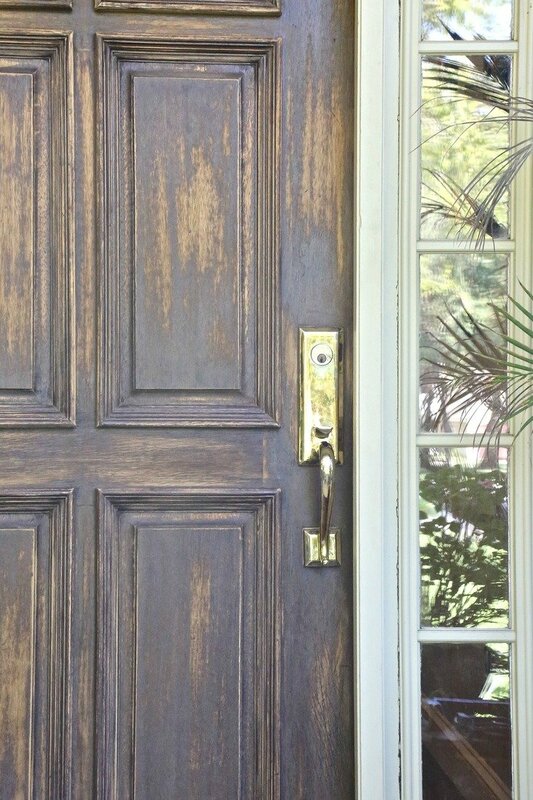 Unfortunately, our last door hardware began to tarnish less than a year after we installed it. 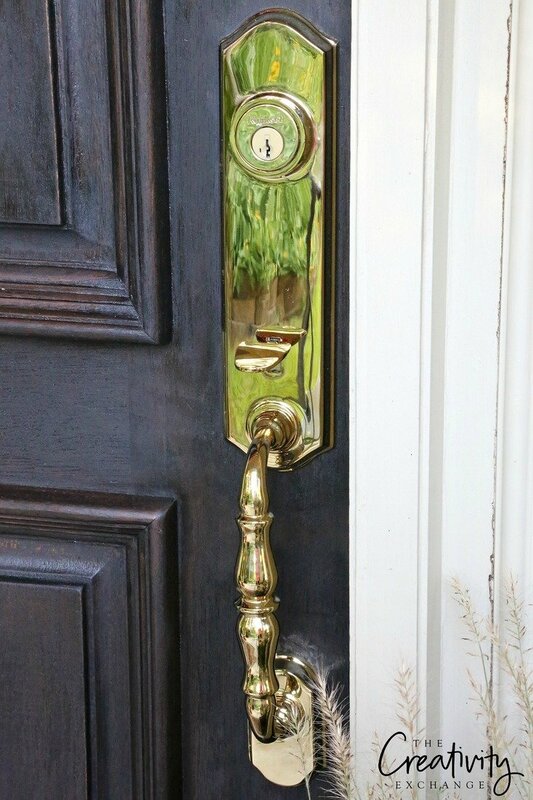 We went with the Kwikset Amherst Single Cylinder with the gorgeous Commonwealth Lever. The Kwikset door hardware came with detailed instructions, making it very easy to install. The Commonwealth lever is absolutely stunning in person and we love how beautiful it looks against the dark ebony new door color. 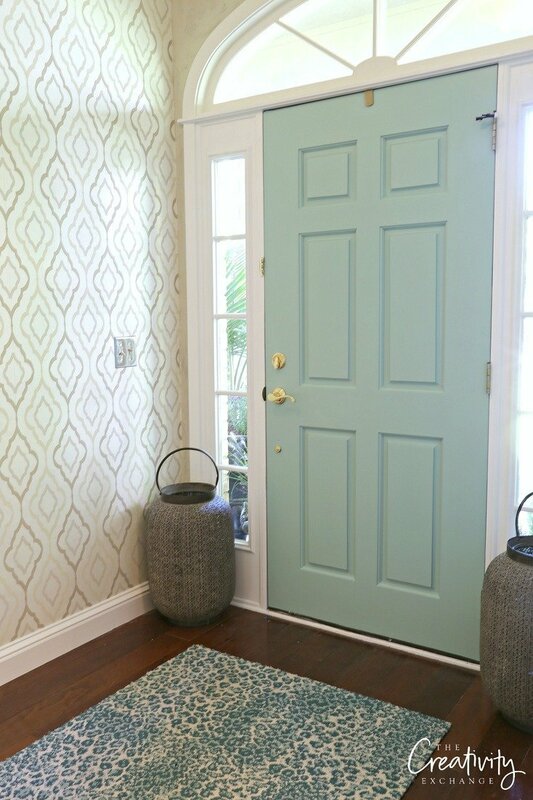 For the backside of our door (interior side), we decided to paint the door in a pretty color that matches our entry way rug. We finally settled on this pretty blue/green color called Hazel from Sherwin Williams. Our crazy dog Ava figured out how to open the door on our old hardware by pushing down on the door handle, which instantly unlocked the door. The Kwikset lock and hardware fixed the problem because it’s a deadbolt and pulling down on the lever will not unlock the door. 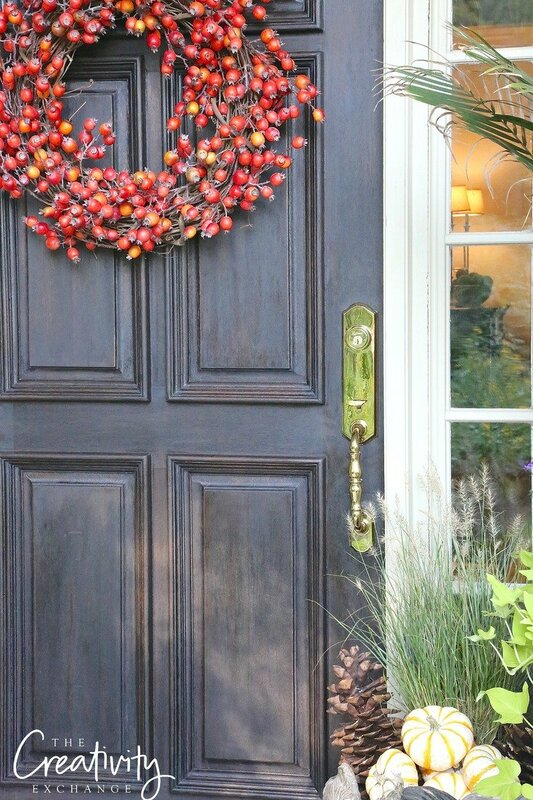 After we completely finished the door makeover, I was able to fluff our pretty door for fall. 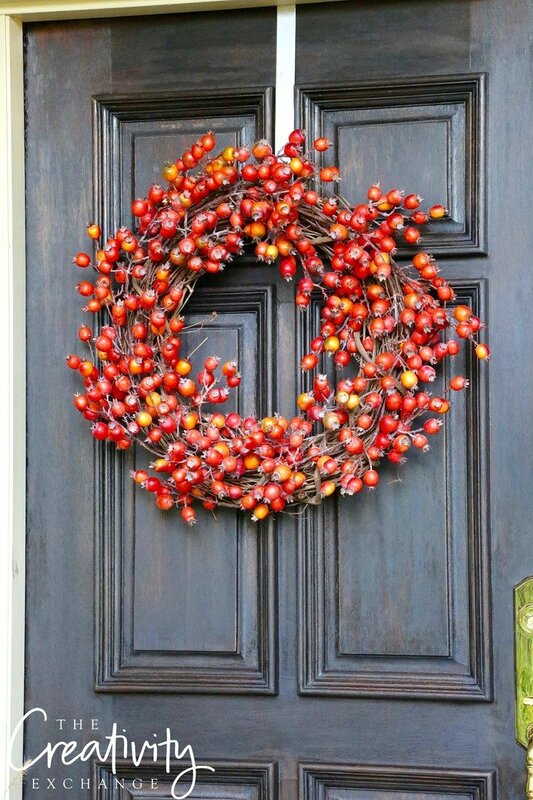 I made a quick and easy wreath by slipping in faux persimmon stems into a grapevine wreath. 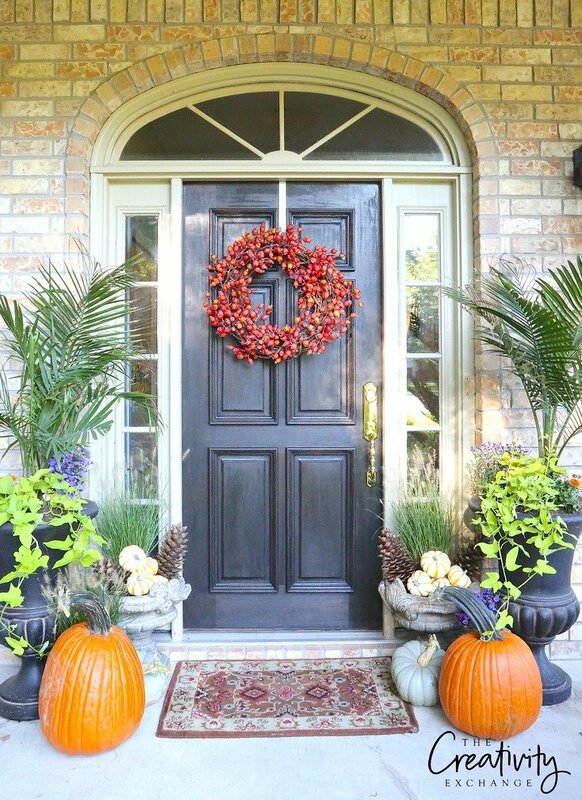 I then added pumpkins, large sugar pinecones and fall flowers around the door to pull it all together. 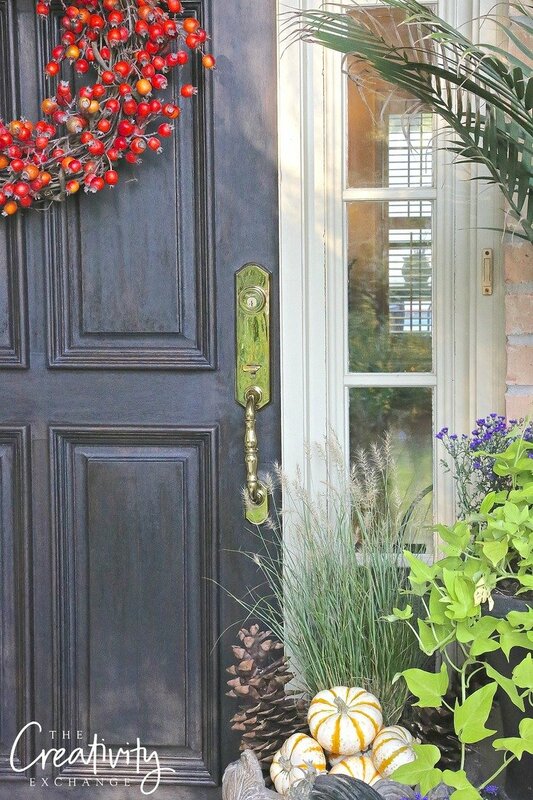 We are so excited with how pretty our front door makeover turned out and the dark ebony color really added curb appeal and the door hardware looks so elegant against the black and the blue/green color on the interior. 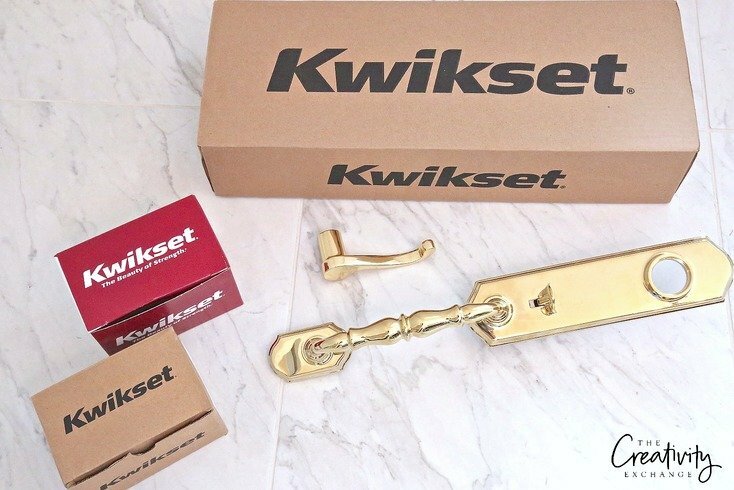 A big thank you to Kwikset for sponsoring this post! If you want to check out all of Kwikset’s beautiful door hardware and locks, you can find them online here. This post was sponsored by Kwikset and I received product and compensation for sharing my own opinion about the product. 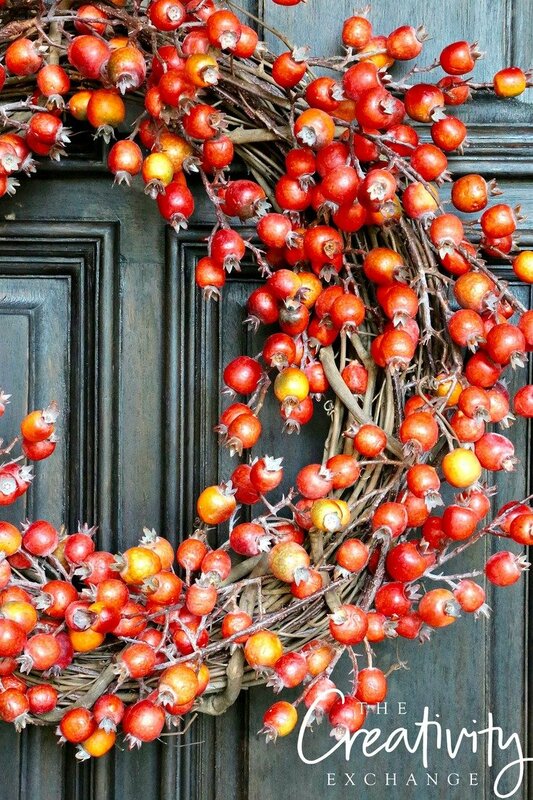 I really love what you have done with your front door. It looks fabulous! Fresh, but somewhat rustic. Unfortunately, we live in the hot and humid temperatures of Houston. My biggest question is what did you do with your front door opening while you door was off inside your home? I have too many little creatures outside, which are fine out in my flower beds, but not in my home. Then there are the flying insects. Thank you for sharing you front door and the changes you have made. It definitely makes a statement. Thank you so very much Cyndy, I appreciate your prompt response. I know our door certainly has seen better days with the sun, heat and humidity of our area. It is time for a facelift. 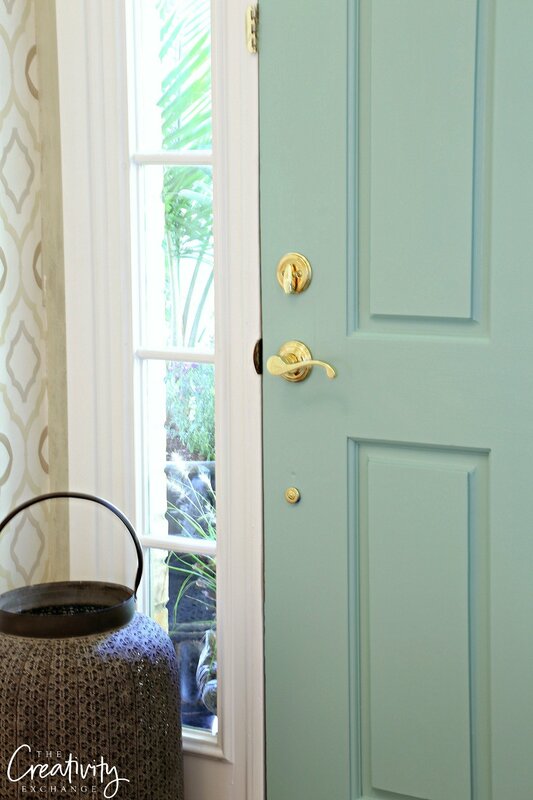 I know so many times people just paint their doors, but I love this look. Our door has glass in the center, which is fine, but the wood looks sad. 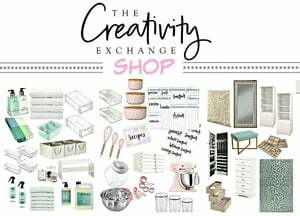 Thank you again for your response and for your blog! Have a great weekend Cyndy! 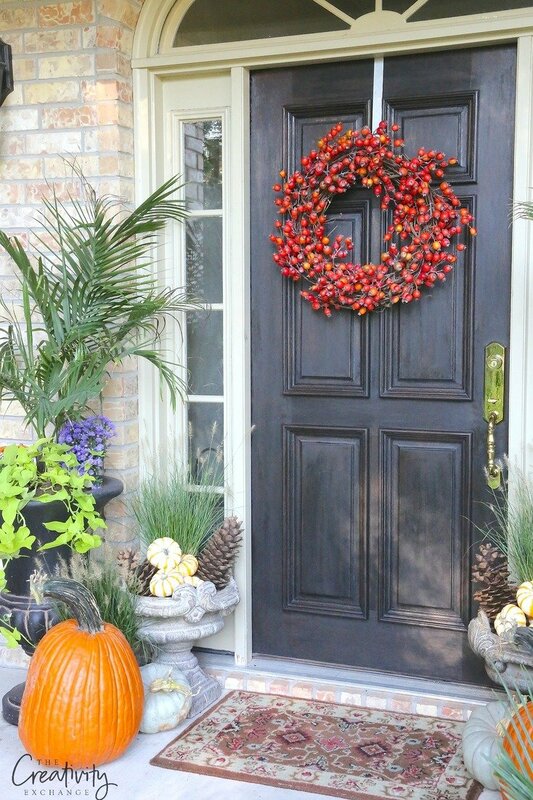 Your front door looks beautiful! What did you do with the edge of the door that you only see when it’s open? 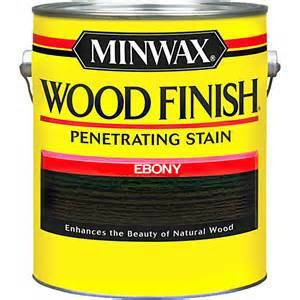 Did you stain it the outside color or paint it the interior color? Thank you Shelly! I left the edges stained wood. So the paint is only on the backside (none of the edges). 🙂 Thanks for your note! I cannot locate the “how to” for making these beautiful labels. Please help this ‘not so old senior’ Thanks! Can this stain be used on steel? Can this stain be used on a steel door? I don’t think so Denise because it’s oil based. I would think you would need a special metal paint but I have never painted steel before. Check with Lowe’s. Hello! I was wondering if you could tell me the color of the trim around your door, please. I have a brick home and am struggling. Thank you. Do you happen to know the name of your wallpaper or where it came from? 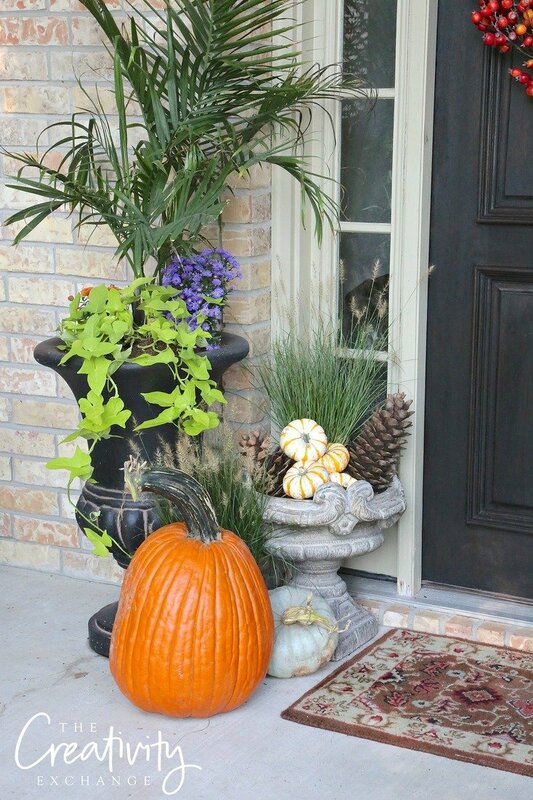 I love the look of your entryway!